This adorable Fiesta Bingo game is a perfect touch to bring a little extra fun to your birthday party! The listing comes with 24 different bingo cards.Hola! Grab your amigos and play Fiesta Bingo! Package includes: 24 unique Fiesta bingo player cards , 15 caller chips,calling card and game instructions. 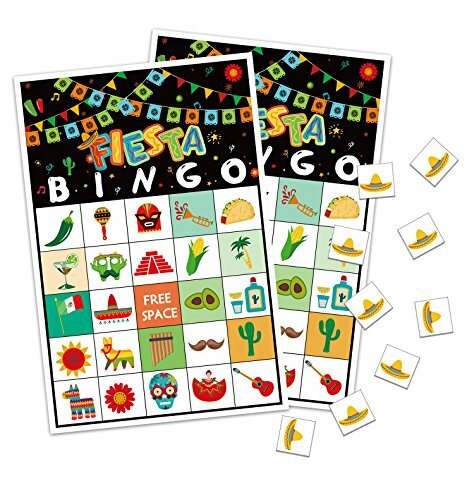 The cute design and fun playing options makes these bingo game cards a must-have for any Fiesta/Cinco de Mayo/Mexican party. Perfect for any Cinco de Mayo gathering with friends, family or coworkers.Easy to play for all ages.